When it is hot and muggy, AC units lower the temperature, remove moisture from the air, and filter the air within a room. Supplemental units can offset the expensive costs of running a whole-house system when only a fraction of the rooms in the home need to be cooled. Make the right choice for your needs with these tips. There are 4 main types of supplemental air conditioners. No matter which machine you choose, you will have an air conditioner that is built to cool your house in the summer. Units installed within the window allow the floor space to be free and clear of additional clutter. Conversely, some homeowners may prefer the unit be inside rather than partially outside the home’s facade. Units are now designed to be more powerful and more energy efficient than in the past. Relying on supplemental units is a popular way for a family to strive to lower energy costs for the home, since cooling uses more energy than heating. 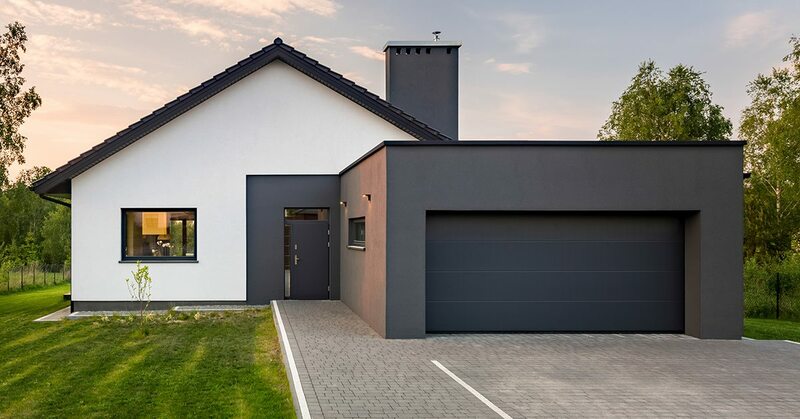 While a whole-house air conditioning system is often a standard feature, the entire house does not need to be universally cooled regularly throughout the day and night. Energy savings can be achieved by using a combination of both a whole-house system and supplemental units. Supplemental cooling units that are designed as permanent features in the home are most often through-the-wall units. These units are durable, powerful, and often come with specific control options. Through-the-wall units create significant benefits for homes located in temperate climates where a whole house air conditioning system is not needed. Through-the-wall supplemental air conditioners typically come as single units installed within a sleeve in the wall. The single unit functions much in the same way as a window unit. Through-the-wall units help to cool the occasional hot spot(s) using minimal energy consumption. As with window-installed units, some homeowners are reluctant to install them because of their unsightly appearance on the house’s façade. Covering the area with smart landscaping can be a desirable option. In the winter, make sure to cover it properly to protect it against freezing weather. For ductless mini split air conditioners, the air handler unit is located indoors while the condenser is located outside. The condenser takes in fresh air and cools it off by compressing it through a mechanical procedure while the air handler blows the cooled air into the room. It can cool one or multiple spaces when the unit is equipped with multiple condensers. 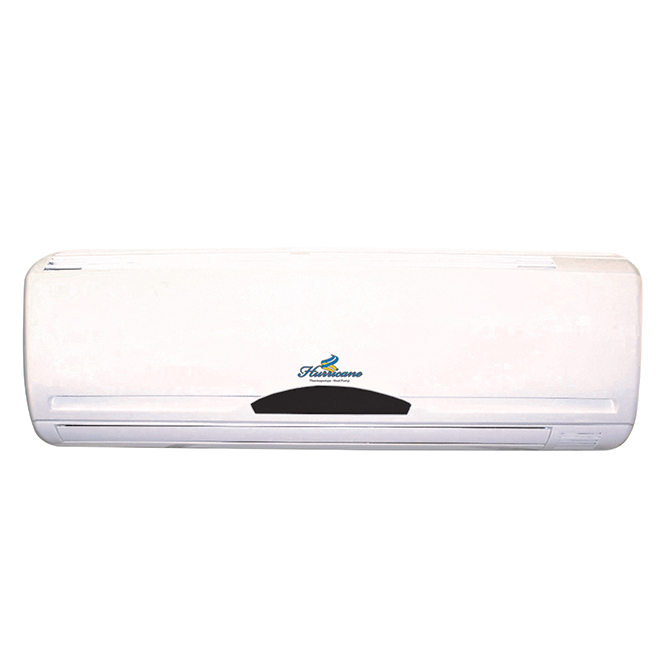 A ductless mini split air conditioner is similar to a whole-house air conditioner, but is designed for cooling off several rooms in a very small home or apartment. Multi-modal portable units come in a variety of combinations, such as 3-in-1 and 4-in-1 units. A fan brings in outside air for natural ventilation. Heat is provided via a heat pump whereas electrical heat warms the air which is then blown out by the fan. The dehumidifier takes humidity out of the air at a rate of pints of water per day. Multi-modal portable units are ideal for the homeowner who may need any combination or all of these extra features on a somewhat regular basis. Purchasing a unit with multiple functions will help reduce the cost and floor space otherwise required when purchasing multiple different units. Units that provide the home with more than a fan and air conditioning will have shorter life spans if used continuously throughout the year. Supplemental air conditioners are all given an EER rating, or an energy efficiency rating, that is listed on the unit. The EER is derived from taking the cooling capacity and dividing it by the electrical power required to run the unit. The EER rating usually ranges from 8 to 12. If the EER is high, the energy efficiency is better, monthly electric bills are lower, and greenhouse gas emissions are reduced. Units with a power of 15,000 BTU typically have an EER of 9 or 10. Units with an EER of over 10 are considered to be extremely efficient. While higher EERs are better, these units also cost more. Bear in mind that the trade-off is a decrease in operating costs when used over a longer period of time. The cost for a more expensive unit could balance out or end up being cheaper than paying for more expensive electrical costs. 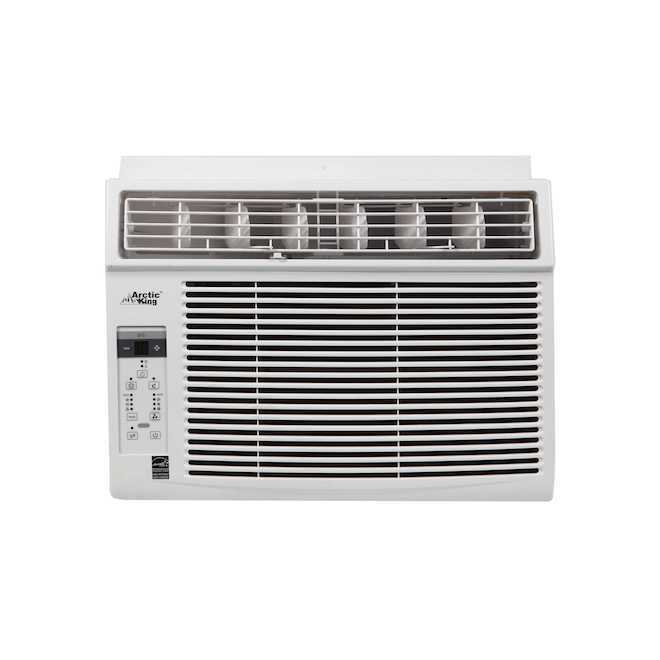 Consider purchasing supplemental air conditioner units for the bedrooms to offset the cost of a whole-house air conditioning system running throughout the night. 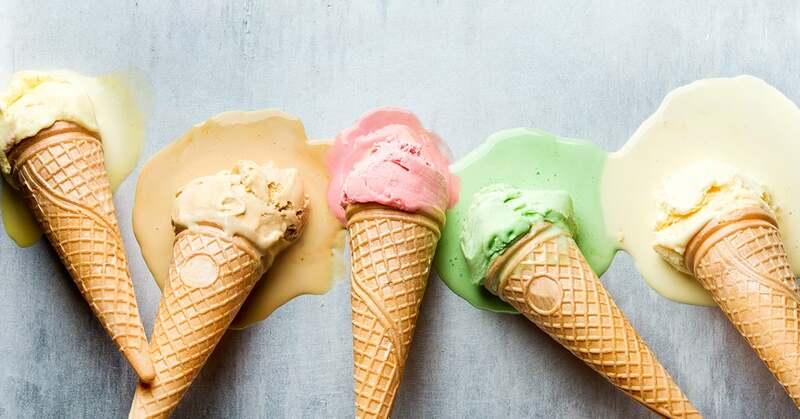 Keeping your house cool throughout the day allows the air conditioner to run more efficiently as it will not have to work harder to cool the space down 10-15 degrees at one time. Energy Star ratings attached to the units are an easy way to find an energy-efficient model. Setting the air conditioner at 75-80 degrees rather than at 70 degrees can reduce power consumption by 15%! The air conditioner controls are operated either via fan speed or via digital, programmable temperature controls. Programmable temperature controls can improve the effectiveness of the unit because the room will turn off when it reaches the user’s desired temperature or will continue to blow until the right temperature is reached. Programmable or adjustable thermostats help the homeowner to consistently control the temperature throughout the day and night. If the space can be kept fairly cool during the day, when many homeowners are at work, the unit will then be spared from working hard to cool the space in the evening. Digital or electronic controls allow you to set more accurate temperatures. The exact temperature is programmed into the unit rather than “LOW,” “MED,” or “HI” air conditioning modes. Timers provide a preset schedule for turning power “on” and “off.” These timers simply control the time the unit turns “on” and “off.” Timers are a more affordable option to conserve energy than programmable thermostats. Units that come with a fan-only feature allow the unit to draw in cool air without using extra electricity to operate the compressor. In addition to features that allow the user to turn the compressor “on” and “off,” further cooling controls can be achieved through multispeed fan options. Three-speed options are the most common, but two-speed are also available. Turning the unit on its lowest setting saves energy costs. The amount of noise emitted from the air conditioner is equal to the fan speed. Therefore, the higher the speed, the louder the unit becomes. Programmable temperature fan controls can optimize the noise reduction of the unit. Since supplemental air conditioners are commonly installed within bedroom spaces, a sleep mode is useful for keeping the unit on a low and quiet setting. While controlling the temperature is key to operating an air conditioner, there are some options that go above and beyond temperature controls such as digital controls, fan speeds, and noise levels. Air conditioners have controls located on the top, bottom, or on the sides. The location of the control affects where the unit can be installed within the home. If the controls are on the top, then it is better for the unit to be installed at waist level. If the controls are on the bottom or on the sides, then a through-the-wall unit installed at shoulder or head height would be ideal. Remote control devices are designed for convenience. Remote controls may be more useful if the unit does not have a programmable thermostat or a timer. The energy-saver option turns off the compressor, fan, and all other energy so that it will not continue to draw electricity while turned off. Filters need to be cleaned every few weeks during the cooling season. When shopping for a unit, find out how easy it would be to access the filter and to clean it. The easier it is to find and access the filter, the more likely it will be cleaned as recommended. Put the filters back in the unit when they are dry. Since keeping the filters cleaned regularly is important for indoor air quality, washable filters help to lessen the maintenance hassle. These filters are also often easily accessible. Look out for this feature when you choose your air conditioner. Adjustable louvers allow the blowing air to be directed in at least two different directions. These are especially useful for larger spaces. An adjustable slide-out chassis allows the window-installed air conditioner to fit snuggly within the window’s opening. Slide-out chassis’ also help to easily block out extra outside air. 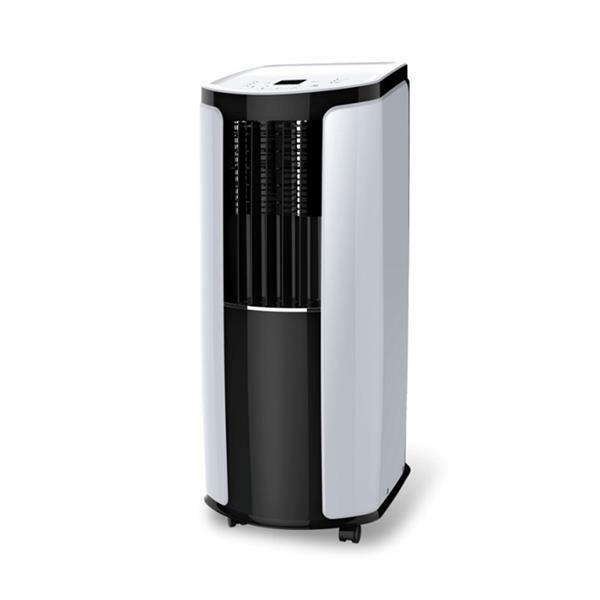 Portable air conditioning units allow the homeowner to use the machine in any room. While ductwork still needs to be set up within the window opening, the window’s opening is much smaller. These units are great for adding extra cooling in the least invasive manner. Finding the right sized air conditioner unit for its associated space is based on several formulas and calculations. Keep in mind that if the air conditioner is too small, the space will not get cool quickly enough. If the air conditioner is too large, the space could cool too quickly and the humidity level will not be lowered sufficiently. The room will then feel too damp and clammy. 1. 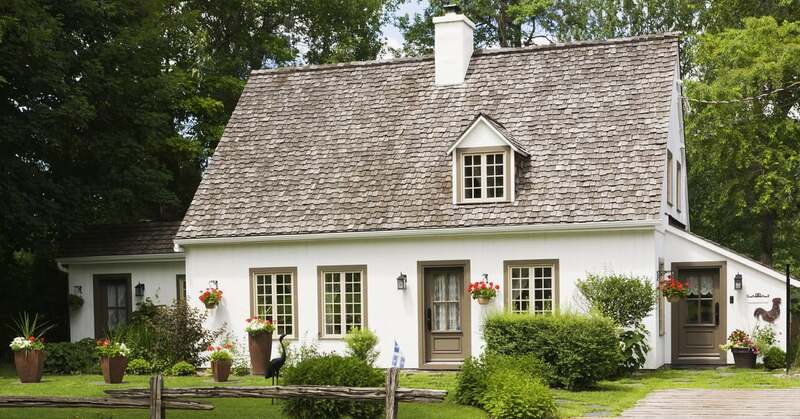 Begin by calculating the room’s square footage. Square footage is calculated by multiplying the length by the width of the room. 2. Then choose the cooling capacity of the air conditioner, according to the square footage of your space. The cooling capacities of the units are rated in BTUs per hour. Units range from 5,000 to 25,000 BTUs. 15,000 BTU-units can be used for rooms up to 875 square feet and plugged into a 115 V outlet. Units that are larger than 15,000 will need to be plugged into a 230 V outlet. While units are often listed based solely on square footages, there are other factors to consider before choosing the right size for the space. Natural Resources Canada provides a free air conditioning calculator online. The size calculators factors in the total window area, level of sun exposure, insulation value, and the room’s use. The following chart contains rough estimates that can help guide the homeowner to the right size unit for the space. Based on square footage. It is likely these types of spaces will need two units. Based on square footage plus 4000 additional BTUs. Based on square footage plus 600 additional BTUs. Based on square footage plus 10% of the square footage calculation. Based on square footage minus 10% of the square footage calculation. *Square footage recommendations provided by Energy Star. Read the manufacturer’s instruction before installing and turning on the unit. Manufacturer’s instructions often have window size limitations listed. Since supplemental air conditioner units are heavy with an 8,000 BTU-unit weighing over 60 pounds, consider having an extra set of hands to help with the installation. Steel support bars can be added to the exterior of the home, below the window unit. Support bars provide additional assurance that the unit is sufficiently supported and does not accidentally fall below if the window were to be opened unexpectedly. Window-installed units often have holes through the outer rim through which the unit can be attached to the window sash itself. Portable and window-installed units are fairly easy to install while through-wall units require additional knowledge and skills. Consider hiring a professional from RONA if needed. Begin by cutting the recommended size rectangular hole in the wall. Make sure that there are no electrical wires, plumbing, ductwork, or structural support that will be severed in the process. Tack the air conditioner sleeve to the framing. Slide the unit in through the opening. Caulk both the inside and outside edges of the opening to seal out drafts and moisture. Always unplug the unit before beginning routine maintenance. Check the unit and clean it once at the start of each season. If needed, have the air conditioner checked by a professional. Use a vacuum cleaner attachment to clean any accessible parts. Make sure the unit is disconnected during the off-season. Protect the air conditioner from the elements such as rain, snow and dirt with an insulated cover. Keep the view from your window unobstructed and let our certified ventilation experts ensure a cool summer for all your home’s occupants.